See me? I’m on top of my roof, shouting out to the world, that the high school years are the BEST years to home educate. Hear me? The superb fruits of home learning happen in abundance during those upper years. 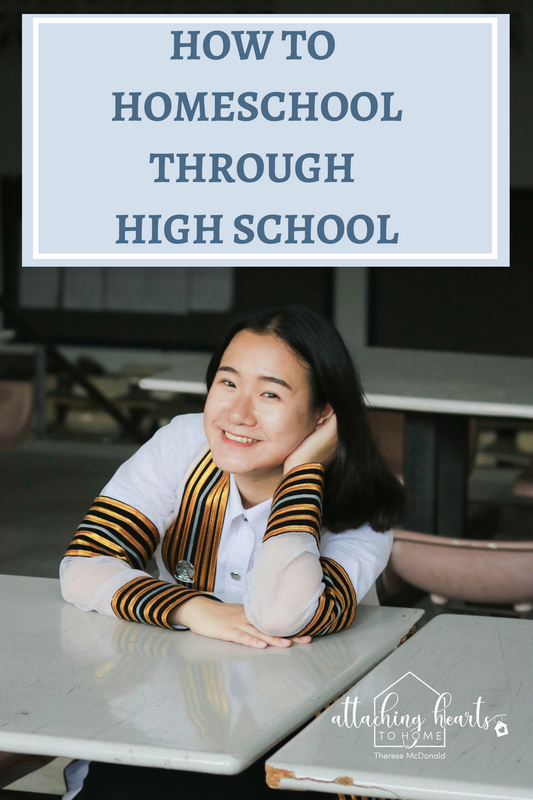 Want to know how to homeschool through high school? Follow me! Along my journey I’ve met many mamas who fret and even panic about teaching their children through the senior high school. You might doubt your skill level, knowledge, and abilities. You wonder if it might be better to leave this stage of learning to the experts. Sometimes there are worries you will deprive your children of upper-level opportunities like science labs, sports, or social experiences. What about graduation and the prom? It is enough to make you eeeeek! In homeschooling my four children from beginning to end, I want to share with you why I think sending your child to the local school or even the best of Christian schools is an opportunity, lost. Here are my top five reasons for staying the course through those senior schooling years. 1.They need you most during these formative years. As your child matures into the pre-adult season and is in the final spurt toward launching out into the world, this is the very time you want to be their primary influence. As brain connections are still happening big-time, you want to be a guide and support while their judgement zones, filters, decision-making, self-image, gifts, and sense of self are all still in development. Don’t lose attachment and bond during this crucial period of life when peer pressure and worldly sway has such impact on the maturing adolescent. You’ve poured your best into your child and now they’ve reach an age and maturity when you can discuss with them at an adult level, where their gifts are being more fully explored, and their ability to be so much more self-directed and capable, explodes. I have loved this time -Discussions are rich, personality and talent are far more fleshed out, sense of humour is ripened, and they have a whole bank of knowledge and insight to share. 3. You can learn together. I was surprised how much came back to me from my own high school years. All I needed was to refresh my learning as a homeschooling mama. Concepts also came easier to me as I taught the upper years – experience has advantages! It is also a wonderful time for new learning; side-by-side, together. There really is nothing you cannot tackle. You can be up front with your child about your own skills and knowledge. Any gaps can become an occasion for growing a deeper experience between you and your child. This is a rich time of growth, as your child comes into full bloom and you get to see them to the finish line. – A rewarding time for you both. Don’t lose the opportunity of mutual victory! 4. Your family belongs together. Each of your children’s development is made more whole by the relationships they have within your walls. Your high school child is in a key time of relational development. By placing them in a new environment where they will relate primarily with peers, they will miss out on the last, at-home stage God gives them to with siblings. The rewards of homeschooling include the best of socialization, that within the family. The virtues formed in family life prepare each child for real life and relationships. Don’t have them miss out. 5. The all-around education you give your child will be sufficient if not superior. If you consider seriously the limits of our present system, you can be confident that you can be the key to your child’s success. Do not proceed in a direction that is the result of fear, lack of belief or faith. If God has set you on the homeschooling path, He will carry you through to the finish line. Be solution focused if you have barriers to homeschooling through high school. Look for what you need and seize it in confidence. Mentors? A support group? Coaching? Do not let fear dictate choices. You can homeschool through highschool. It is not as difficult as you might be thinking it is. And if you need more resources, I can help.